While in town for Microsoft MVP Summit, I planned ahead. Surface Pro 4 had been announce and I pre-ordered the i5 / 16GB RAM / 256GB model. 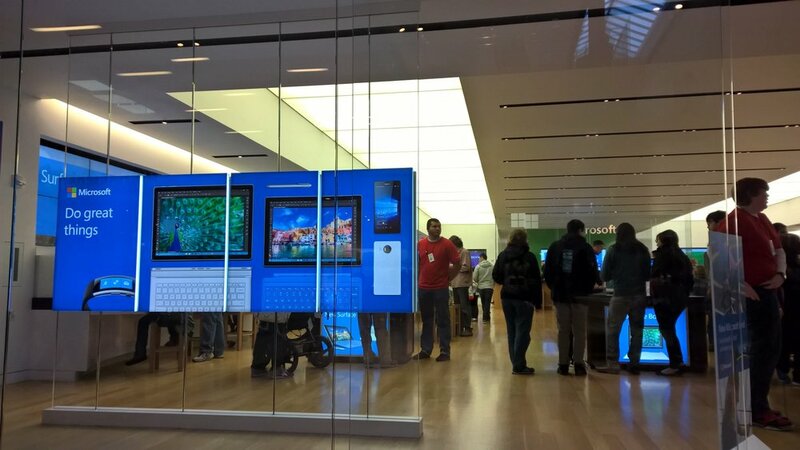 I also purchased the new v4 keyboard in blue.I visited the Bellevue Microsoft store where the staff were very helpful organizing an extended warranty. I recommend getting this at the time of purchase. Don’t forget like I did. Why the warranty? So if in a years time you have hardware trouble, you’re still covered. I have had the SP4 for a few days now but hadn’t taken the time to set up Windows Hello yet. This new innovative feature lets me log in with my face. No, you don’t press your face against the screen or swipe it somewhere. A specialized camera is required and this is built into the SP4. I though, what better opportunity to record on location out side the Bellevue Microsoft store. Setting up Windows Hello was a 30 second job as you will see from the video. Simple. I left my glasses on because I’ll have them on when I want to log in under normal circumstances. But you can improve recognition by removing them and performing the scan again. Logging in with Windows Hello is fast, as you’ve seen from earlier demos by Microsoft. As I logged in for the first time, it wasn’t immediately obvious what I should do. The Windows Hello icon looked around and recognised me. But the lock screen sat there. Reading closer, it meant that I was authenticated. All I needed to do was swipe the lock screen away or hit spacebar. Easy once you know how. NOTE: You’ll see in my video that as I swipe the lock screen away, it flickers. This is not the behaviour of the device or screen. It’s a side effect of trying to use Camtasia to record the experience. I actually didn’t expect to be able to lock the screen and still record.